The other week at the zoo I had an experience which gave me pause. Due to a ill-timed discovery of a flat stroller tire (like, I discovered it after arriving at the zoo and packing all our stuff into said stroller), I found myself shlepping up to the front entrance, two massive bags of supplies on my shoulder, a squirmy two-year-old in my arms, and two excited little boys hovering around my maxi skirt. About two feet beside and slightly behind me was a grandmother (I assume) with two granddaughters (also assumed). Facing both of us, about five away, was a woman approximately my age. Thanks and pleasantries were exchanged before the coupon-donater turned and hurried back to where she came from, muttering something about leaving her children unattended. It felt…weird. I had the distinct impression that I had been assessed and then rejected for this coupon opportunity. And all well within earshot, to boot. One of my friends did point out, in a very nice benefit-of-the-doubt sort of way, that it’s likely the coupon-holding lady assumed that I already had a membership to the zoo, what with the gaggle of small children hovering around me. Fair enough. But it’s hard not to assume that my appearance might have had something to do with it. I’m well-aware that with my long sleeves (well, sleeves past my elbow, at least), maxi skirt and tichel, which is my go-to headgear when I’m out and about solo, I don’t exactly look like the moms in Parents magazine. I get how someone could see me and think, “Oh, that looks like one of those religious fundamentalist people,” and then not feel 100% comfortable approaching me. I get that. I’m not offended. you mean you didn’t see this look in the latest InStyle? But this experience got me thinking about how it’s normal for most people to feel more comfortable with those who are similar to them than to those who are different. We naturally gravitate towards those who have something in common with us, who we understand and, in turn feel understood by. But when we neglect to interact with those who are different than us, it can lead to distrust, distortion of (sometimes baseless) stereotypes and other unpleasant things. I’ve seen this on both sides of the religious fence, from when I was younger and either irreligious or anti-religious, and shunned/mocked those who were open about having faith, and now, having been Orthodox for about ten years, and seeing distrust from some within the Orthodox community toward those who do not hold the same beliefs. I do find it somewhat ironic that it took me becoming Orthodox, which I previously (pre-exposure to any actual Orthodox people, that is) viewed as a very narrow-minded lifestyle, to acquire the perspective of being open-minded and respectful of others. Does this mean I agree with every opinion I encounter? No, not so much. But it does mean that I’ve learned the value of looking past an opinion I disagree with to see the human being behind that opinion. And Now, Announcing An Exciting New Collaborative Series! 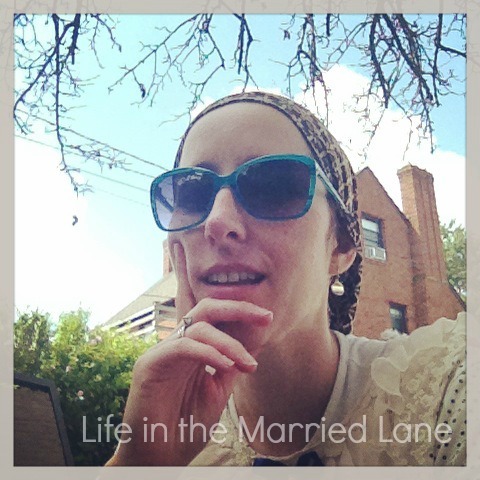 A reader of this blog and fellow blogger herself, Keshet Starr, emailed me some months ago with a great idea: What if we put together a panel of frum women who would field some FAQs and share their experiences of what it’s like being Orthodox? Yes, please! I’m so excited to announce that our first post, G-d willing, will be published sometime next week. 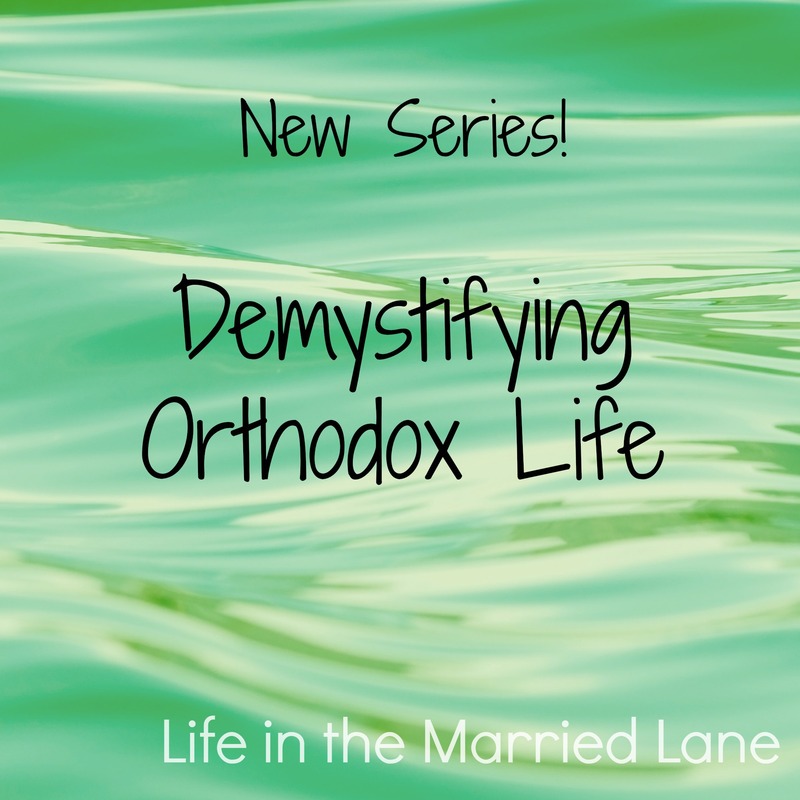 If you have a question that you’ve always wondered about Orthodox stuff, here’s your chance to get it answered! Just write me an email, contact me on my blog’s Facebook page, or even send me a tweet. If you’re Orthodox, you can still participate, too. If you have any question about frum life, send it this way. We’ve put together a group of observant women who are hopefully somewhat representative of the diversity within Orthodoxy (yes, there is diversity within this relatively small subgroup of Jews), and they have generously agreed to share their thoughts and opinions on whatever questions are posed. Looking forward to breaking down some of the walls and/or misconceptions that may exist, and on learning from both the questions asked and the answers given! Hatzlacha with your new endeavor to demystify about Orthodoxy. Enjoying your Ellul video series. And regarding the snobs (or whatever they were) at the zoo, yes, it can be annoying when people are ignorant or intolerant or whatever…. awesome post! Yes, and you live where there are presumably more Jews , orthodox and otherwise, than where some live where there are no jews, or headcovering persons, and we are assumed to be part of that “peace loving religious” group…so people really look at you in a “way”. sadly. I wish that people would get just because you have a shmatte on your head, does not make you muslim, amish, even jewish? its just sad people have to be categorized and sometimes not in a nice way. ugh. Cant’ wait til your series, and love your Elul videos too! you are awesome!! I understand the scenario you described. And I like your benefit, but I think that the people judging us (if it is indeed judging) don’t realize that we have feelings and that we realize we are being judged by our appearance. When I walk in public places, I know that I’m ‘on display’ and that everyone around me is watching how this religious, Jewish woman is going to respond to her kids. I can’t control how people will view me, and that goes for everyone, but I sure want people to see that we are normal and just like them…besides for the Jewish part lol. I think it’s so funny the way humans work. I’m sorry that you realized you were passed up for the coupon, but seriously, why don’t you have a zoo membership?! Hopefully you do. :) I think that this new series you are embarking upon sounds like an amazing project. I’m looking forward to reading it. :) Also, I have really been enjoying your Elul series, it’s a good, short few minutes in the evening to wind down. As for someone who has always been on the outskirts of everything. I’m different and I know it and accept it. People will always judge me, and that’s on them, not me. What’s between me and Hashem is how I react to it and what I can learn from it. BH you turned this into a learning experience rather than a reason to feel angry. I hope that you don’t encounter this again, but if you do, you have the same positive outlook on the situation by being able to learn from it to better yourself. Thanks for the kind words on the Elul videos! I’ve been getting a lot out of them, B”H. And I completely agree with your perspective on dealing with people’s judgment. It *is* totally on them. And, I guess, up to us to grow from the experience. I think that in our fast-paced world, people assess and make judgements quickly, and it’s become the norm. I know you were not offended (and I love that you turned introspective and understanding about it instead), but I’d just like to add that she probably did not mean to offend, and that she quickly came to the conclusion that the other lady needed the discount more. So one could take it both ways, I suppose. Your new series sounds really exciting! Yeah, I’m sure she didn’t have any intention of making me feel weird, and since it seems her kids were waiting for her somewhere out of sight, I’m sure she wasn’t exactly focused on social niceties, more like “give the coupon away as fast as possible.” That’s what I would’ve probably been thinking!